About Us | Hutchinson Design Group, Ltd. 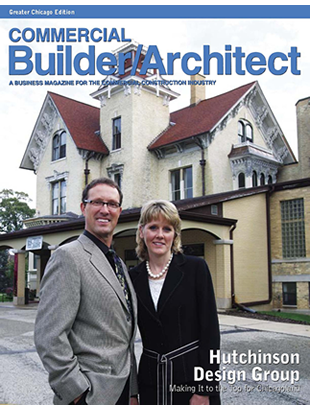 In January 2003, Karen A. Hutchinson and Thomas W. Hutchinson, AIA, CSI, and RRC established the Hutchinson Design Group, Ltd., a full service architectural firm specializing in roof system design, forensic investigation, roof system failure expert witness work, building envelope and moisture intrusion concerns. The firm offers roof inspection, due diligence surveys, roof system design, contract document preparation, peer review, expert witness and general roof consulting services. All our employees are knowledgeable of roof system materials and the various roof system materials, components, their limitations and characteristics. The firm has been recognized several times by the RCI (Institute of Roofing, Waterproofing and Building Envelope Professionals) for excellence in design and contract document preparation, most recently for the City of Milwaukee 809 Building Garden Roof, dedicated by Mayor Tom Barrett. Mr. Thomas Hutchinson, AIA, CSI, FRCI, RRC is the principal of the firm, and while being a renowned expert on roofing, contributes pro bono in code and standard development with ASHRAE (American Society of Heating, Refrigerating and Air Conditioning Engineers), ASTM (American Society of Testing and Materials), The International Building Code (IBC), EPA (Environmental Protection Agency), LEED (Leadership in Energy and Environmental Design) and RICOWI (Roofing Industry Committee on Weather Issues). Mr. Hutchinson currently also serves on an industry committee discussing garden roof testing for fire and wind performance. work the first time around for clients has allowed the Hutchinson Design Group to grow. HDG’s repeat client service, to clients with multiple buildings, has been a testament to HDG’s success. She manages the daily operations of Hutchinson Design Group with the guiding hand of “Do the best, with the best, and you will get the best”. Stephen Kolton is an integral part of the Hutchinson Design Group team. Stephen started his career pursuing a degree in engineering and the Hutchinson Design Group was pleased when he realized the importance of a quality roof system design. His advancement in the roofing industry includes passing the exam to be a Registered Roof Observer with RCI, Inc. (The Institute of Roofing, Waterproofing, and Building Envelope Professionals). Steve’s role at HDG includes onsite verification and photo documentation of existing construction conditions, construction drawing preparation to effectively communicate the required design intent of masonry restoration and roof system installations. construction documents, and adhesion to the construction documents and HDG’s design intent.